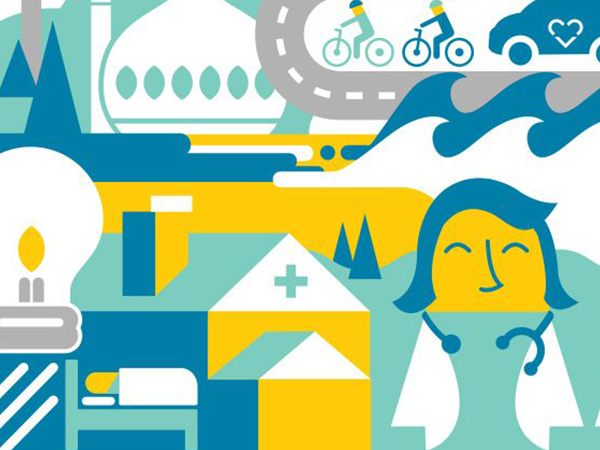 As the UK’s biggest employer, the NHS has a major role to play in creating a sustainable future. 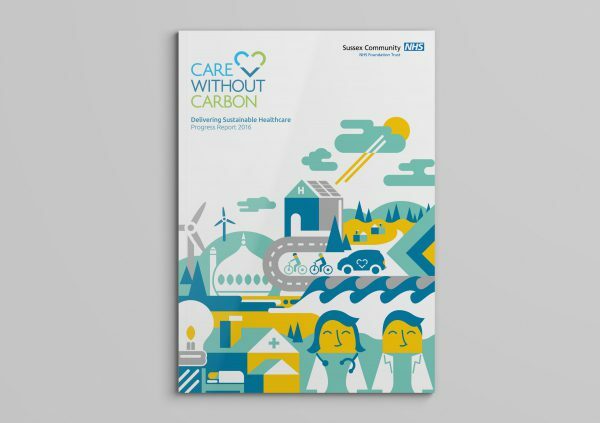 Care Without Carbon is a pioneering approach to sustainability within the NHS, based at Sussex Community NHS Foundation Trust. We’ve been working with them since 2013, and together we created the Dare to Care engagement campaign, which launched in 2015. Care Without Carbon has achieved so much, and 2016 provided an opportunity to reflect on that. 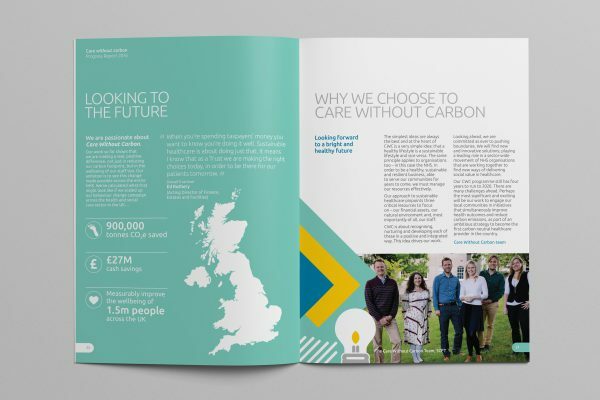 The New Economics Foundation found that the programme has already saved the trust more than £2million, reduced the trust’s carbon footprint by 20% and increased the wellbeing of staff who’ve been involved in taking a ‘dare’. Neo’s role was to bring the update to life. Evolving their existing illustrative style using inspiration from Scandinavian art, the 2016 progress report is even more inviting, energetic and celebratory. It’s designed to help more people inside the trust and beyond connect with sustainability. 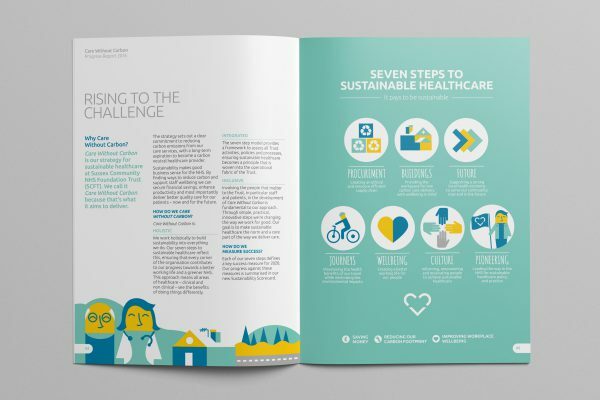 This is the first separate annual sustainability report to be published by an NHS trust, and paints a vision of what the entire NHS could achieve. 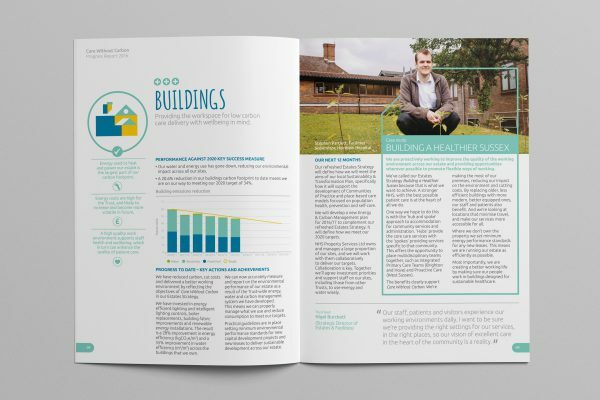 Download the full report from Care Without Carbon. And if you’d like to talk about how you can make sustainability engaging in your organisation, get in touch.